The award-winning thriller The Jackhammer Elegies lays bare a crisis no city wants to face—a technically savvy terrorist attacking the lifelines of the city’s public works. Engineer Scott Carter brings his expertise into the FBI investigation, and his insider angles have reviewers citing Clancy, Ludlum, and Grisham to make their comparisons. Praised in the national press for its character development and style, The Jackhammer Elegies opens a new door on a city’s vulnerabilities and on the engineering realities that make this page-turner human drama come alive. 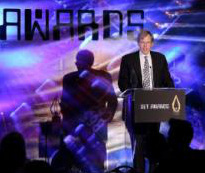 View video of the author's remarks at the 2013 SET Awards ceremony. ". . . one of the best books I've read in a long time." "If you like Grisham but with engineers instead of lawyers, you'll love this book!" "I am not normally a fiction reader, but I couldn't put this down." "I can tell when a book is absorbing because I almost miss my [subway] stop. By this measure, The Jackhammer Elegies succeeds brilliantly."